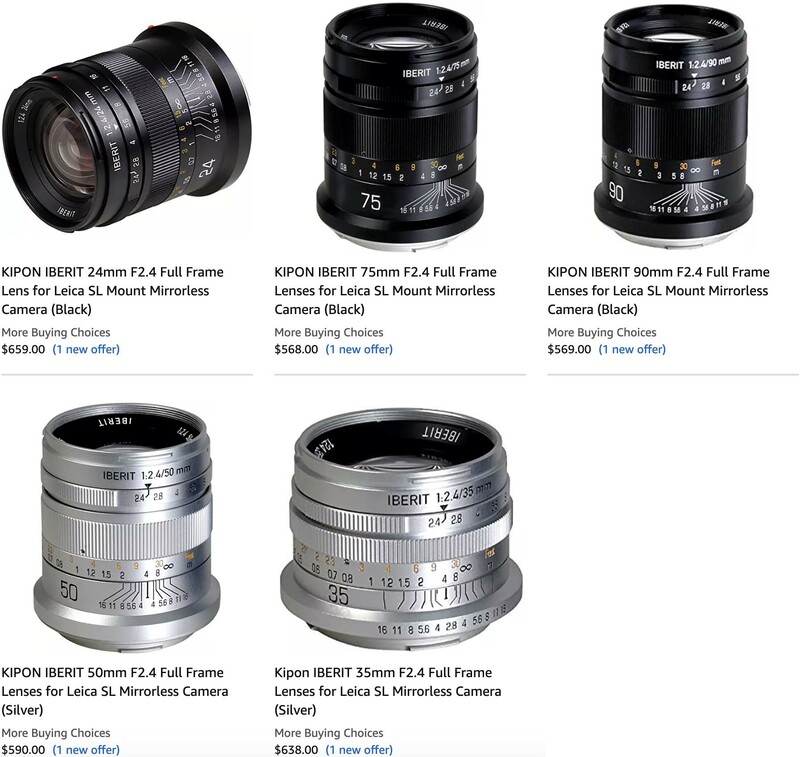 Kipon has some new L-Mount lenses available on B&H Photo and Amazon. This entry was posted in 3rd Party Lens, L-Mount and tagged Kipon, Kipon IBERIT, KIPON Iberit 24mm f/2.4, KIPON Iberit 35mm f/2.4, KIPON Iberit 50mm f/2.4, KIPON Iberit 75mm f/2.4, KIPON Iberit 90mm f/2.4. Bookmark the permalink. Trackbacks are closed, but you can post a comment.